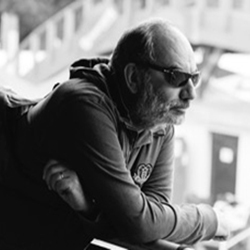 Filippo is an entrepreneur, 57 years old, married to Paola and father of Anna and Giovanni. He has developed an early and ever lasting passion for motocross, maybe thanks to the fact that he was born in Bra, few steps away form one of the most important Italian motocross tracks. After years of practising motocross as amateur rider and passionate follower of the competitive races, in 2006 he has started to support riders and teams in world championships. There, through strong friendship, common love in motocross and shared aspiration to support the development of the sport, the idea of Lovemytraining was born with focus on riders, either young talents or established professionals who compete for top world championships positions, with the objective to help them develop to the maximum of their abilities and careers.